The question every person must answer is “Do I believe in Jesus enough to put my faith in him?” There is no need to convince the world that you’re right. You can try. But faith, at its core, is personal. The fact that some don’t believe only shows that God will not coerce or force people to faith. Deniers of Jesus’ resurrection make my faith stronger. Faith is still as simple as a Sunday School story for me, but it’s also grown much deeper and more complex. It has had to. Christians are sometimes respected, but sometimes ridiculed. Around the world, Christians are still persecuted and killed simply for their faith in Jesus. If we want to stand firm in the face of opposition, we need to know why we believe. This is that part of belief where you look at yourself in the mirror and you know in the deepest part of your heart that this is true. In Bible terms, it’s the inner witness of the Holy Spirit. When my brain stops churning and analyzing, I know. I can’t deny the resurrection of Jesus. The biblical account convinces me. Christian apologetic work convinces me. Arguments against the resurrection ring hollow. The Medical Evidence – Was Jesus’ Death a Scam and His Resurrection a Hoax? The Evidence of the Missing Body – Was Jesus Body Really Absent from His Tomb? The Circumstantial Evidence – Are There Any Supporting Facts That Point to the Resurrection? Strobel’s interviews more than satisfy my questions about the resurrection of Jesus. And he’s not alone. The stadium of academic witness is sold out, standing room only. 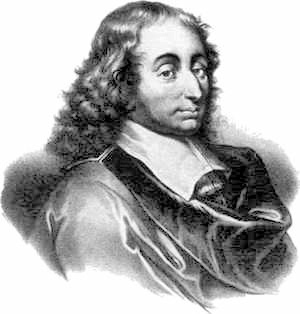 Blaise Pascal. Pensées, #277 (New York: Penguin, 1966), 154. Lee Strobel. The Case for Christ (Grand Rapids, MI: Zondervan, 1998), 189-257.